A familiar phrase often used when frustrated at the inability to get things gone just the way we want. At first glance, an in-house solution could be the perfect fit – you can create something from the ground up that is built to work with your current infrastructure. But one thing within businesses and organizations remains inevitable and is constant in today’s business world, and that is change. Although you could potentially solve some of your current issues, your business processing and reporting needs would likely change. This is where an in-house system can become problematic. How? In a typical organization, each department seeks tools and processes to optimize productivity. From the business aspect, new legislation could be passed, changing the claim handling requirements; the company could explore new lines of business; new reporting requirements can be introduced. On the technology side, we already see daily changes with respect to data privacy, security, assessments and infrastructure certification requirements. The problem with building an in-house solution is that its logic and functionality rely on the business case and current processes that affect your business today, and can quickly find itself outdated and unusable. This is the challenge of building an in-house system. The cost of an in-house solution is often under-estimated since there are a number of factors that come into play. It can become highly challenging to know the total amount of a developer’s time required to build an entirely new application. The initial goal of a claims management system may only be to aide in claims handling practices, but more goals and features can be added on and “Scope Creep” can occur quickly, with the project expanding to include other benefits. 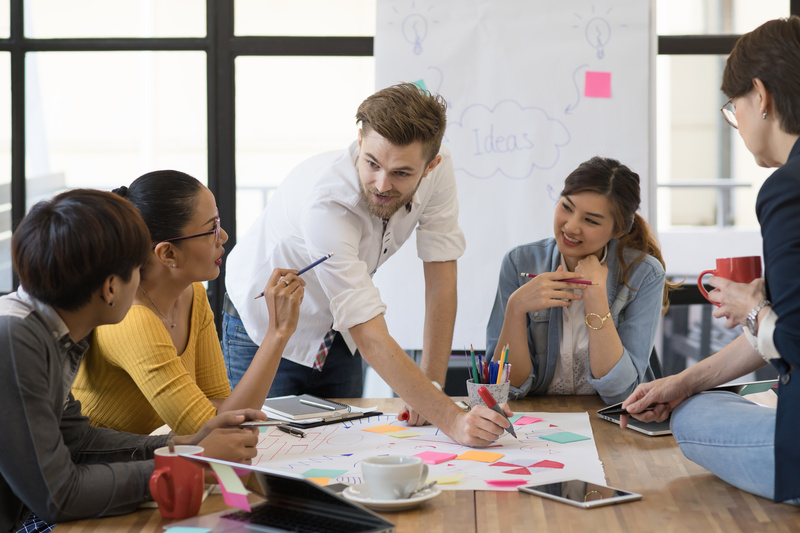 If you consider the cost of a qualified business analyst and development team, the costs can add up fast – not to mention the time employees spent away from their core duties when using in-house personnel. When you build something yourself, you know all its subtleties inside and out and if problems occur, there’s no need to call outside technical support since your programmers can quickly create patches and updates. But this approach is not without it’s drawbacks. What will happen when the in-house experts are no longer with the organization? You’ll find yourself stuck with a proprietary system that no one knows how to use or fix when inevitable problems arise. On another note, internal expertise is limited to those that have been trained, and once trained a fairly aggressive knowledge transfer process will need to be put in place to ensure that this knowledge survives the resource. In the end, it can be difficult to prevent an in-house solution from becoming costly or impossible to maintain. Hidden costs and future costs of ownership may make you question if this is the right path for you. Estimating 6 to 9 months for initial development and testing, the phase 1 employee cost alone can range from $515,000 to $787,500 and the opportunity cost involved in taking developers away from core projects that generate revenue and support the business becomes difficult to calculate. Now let’s consider ABC’s time-to-market issues. The insurance market is a very competitive environment – XYZ Insurance is nipping at their heels in pursuit of next generation claims service. The difference? XYZ Insurance has chosen to use a third party claims system that can be deployed immediately. Future years see ABC Company finding themselves less effective, less productive and unable to meet the same standards of customer satisfaction. They are forced to build internal departments responsible for maintenance, system updates, testing and infrastructure security. What started as a cost saving decision has forced them to become a technology business, splitting their focus to keep up with the changes in both the insurance and technology worlds. The initial reaction may be to build a solution internally. Building in-house certainly is not always a bad idea when highly specialized requirements exist. However if your organization is likely to face the changes above, then a third party solution merits some further investigation. A good claims management solution should offer an easy to use interface and a flexible workflow in order to ensure it can adapt to your organizations environment. Your chosen vendor should have a range of experience and offerings, and should be constantly adding to its platform to ensure it will fit your needs for today and tomorrow. So while it’s true to get something done right, you sometimes have to do it yourself, it’s also true that you shouldn’t have to reinvent the wheel. Customer service has always been a major factor in the success of any business. However, with all the new ways that customers can instantly rate, review, and share the experiences they’ve had online at anytime, improving your customer satisfaction rates is now more important than ever. Virtual Claims Adjuster is an online claims management software system that increases your overall quality of service and strengthens your relationships with your clients. Here are some of the ways that VCA can improve customer experience at your business. Nobody likes to be left in the dark not knowing what’s happening or how things are going. Your clients want to stay informed on how their claims are moving along and what stage they’re at. In the past, updating clients could be a cumbersome, time-consuming process, but Virtual Claims Adjuster gives you the ability to provide instantaneous electronic access to your clients, so they can access and view handling progress for themselves. Ineffective processes on your end take up extra time that you can’t bill for, resulting in lost revenue. If you were able to streamline your many administrative processes, you could automatically reduce your file handling costs. That would empower you to offer more competitive pricing, so you could increase your marketability. Customers love a good deal. VCA helps you save time and money by minimizing redundant tasks and reducing your need for multiple software applications. When you free your staff from the tedium of switching back and forth between applications to locate and use documentation—and also reduce costly manual errors in the process—you’ll be amazed at how much time your company used to waste. A great deal of customer satisfaction simply comes from how well a job is being completed. Virtual Claims Adjuster offers full business metrics, so you can ensure tasks are completed correctly and on time – every time. With VCA’s ability to help you instantly review performance and productivity, you can increase the overall quality of your service by resolving issues before they have a chance to escalate. 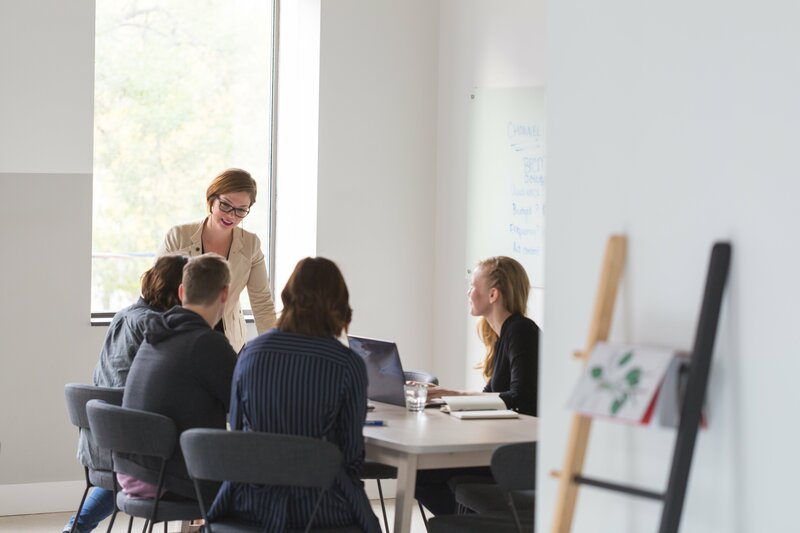 Standardization helps you provide better customer service by making it easier for you to react to things like absences, file transfers, and new hires. Virtual Claims Adjuster also simplifies your staff training so your company can easily increase scalability and meet increased demand. Because the cloud-based software provides clear next steps at every stage, VCA helps you ensure a more consistent and accurate service for your satisfied customers. Your clients want to have a voice and they want that voice to be recognized when they use it. Virtual Claims Adjuster’s online system provides instant communication and information sharing capabilities, so your clients always feel heard and listened to. This enables faster, easier communication at all times, so you and your staff can seamlessly manage and adapt to your clients’ changing requests. Don’t let your company fall victim to harsh online client reviews and ratings. Good quality online claims management software like VCA gives you more power and control over the claims handling process and provides you with more insight into your business so you can ensure that you’re offering the best client experience possible. See Virtual Claims Adjuster for yourself with a complimentary, 30-minute guided demo, followed by free, hands-on demo access. If you work in the claims handling business, you know how complicated the claims handling process can get. You also know how multiple software applications, repeated data entry, and other ineffective processes waste time that you can’t bill for, resulting in lost revenue. These are just a few of your business’s efficiency problems that online claims management software can solve. Web-based claims management software is designed to help your claims handling business streamline its day-to-day operations. It is a computer software system that helps your company with everything from simplifying the assignment process to easily expanding your service area. If you work in the claims handling business, take two minutes to learn how cloud-based claims management software can help your company. Wasted time is wasted money. A successful business is an efficient and productive one. This stands true in the world of claims handling as well. Minimizing the need for multiple software applications. In order to guide your business into a successful future, you need to have the deep knowledge and understanding that gives you the ability to make well-informed decisions. If you don’t have online claims management software to help you do this, you may find it an overwhelming or even an impossible task. So, What Is Claims Management Software? Well, claims management software may just be the answer your business has been looking for. It helps you manage your staff and increase productivity. It helps you stay informed and make tough business decisions. It helps you grow your market share. Virtual Claims Adjuster provides all this, plus 24-hour-a-day handheld data accessibility. It even gives your clients a portal to easily view handling progress. Claims management software is the key to your business’s success. See all the features of Virtual Claims Adjuster for yourself when you schedule your free, 30-minute, guided demo followed by free, hands-on demo access. Once you see Virtual Claims Adjuster in action, you’ll understand why this web-based claims management software has been the global leader for nearly two decades. Managing a claims handling business involves managing a wide range of operations, as well as employees. We all know that the claims handling process is complicated, yet mistakes have the potential to seriously complicate or damage your client relationships. To grow your business, you need easy-to-use, full-featured software that helps your company effortlessly simplify and streamline the claims handling process. If your organization is still dealing with ineffective processes that create extra time you can’t bill for, resulting in lost revenue for your company, it is imperative that you look into the options available to you through web-based claims management software. Here are some of the ways cloud-based claims management software can help you handle insurance claims with ease. Virtual Claims Adjuster gives you the ability to streamline the claims handling process so you can reduce the possibility of manual errors and increase staff productivity. Virtual Claims Adjuster eliminates wasted time and energy when transferring files for assignments and gives you the ability to communicate seamlessly with staff for optimum efficiency. With Virtual Claims Adjuster, you get full business metrics so you can instantly review employee productivity, resolve issues before they escalate, ensure tasks are completed correctly and on time, and increase the overall quality of your service. Having all your company’s data in one place with VCA can result in lower costs, higher returns, and a more simplified infrastructure for your business. Plus, by reducing costs and increasing returns, you’ll also gain the ability to offer more competitive pricing. 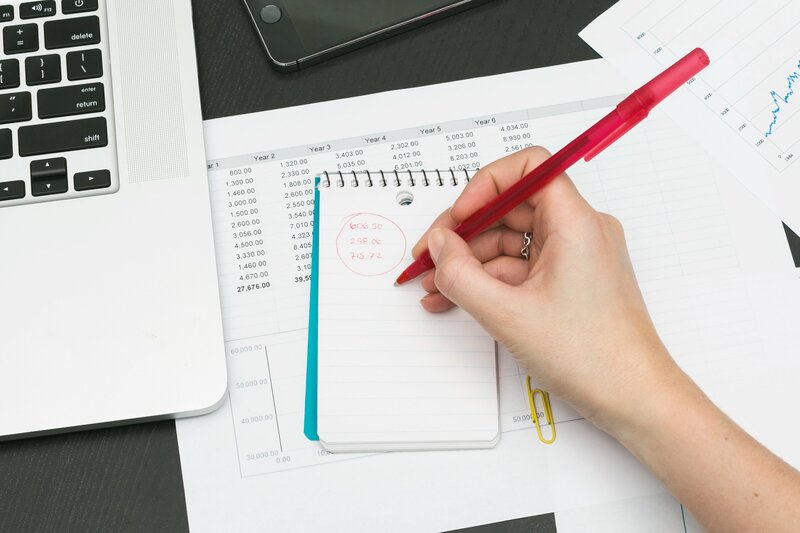 VCA gives you the ability to streamline everything from the assignment process to the billing process with handy tools that help you achieve around-the-clock handheld data accessibility, and accurate, flexible invoicing that can handle all common billing practices. Don’t fall behind on software technology that keeps your business efficient. Virtual Claims Adjuster increases productivity, makes your company more competitive, and automatically increases your overall revenue. Running a claims handling business is already hard work, there’s no need to make things harder than necessary. Choose the easier way: VCA. Take Virtual Claims Adjuster for a test-drive when you schedule your free, 30-minute, guided demo followed by free, hands-on demo access. Once you see Virtual Claims Adjuster in action for yourself, you’ll understand why this web-based claims management software has been the global leader for nearly two decades. Buying software too soon or too late can create cash flow problems for your business, so timing your software purchases correctly is critical to your ongoing success. You can’t expect your current computer system to notify you when you should upgrade, which means it’s up to you to watch for signs that your claims handling business may be falling behind. When you see these telltale signs, you’ll know it’s time to upgrade. Managing a business is never easy. When your business is young, it’s small and needs careful attention in order to grow. After your business has become a success, you have even more to manage and deal with. Gaining insight into your processes and trends is critical if you want to continue growing. Virtual Claims Adjuster is a claims management software system that is designed to supercharge your insight with built-in performance metrics that allow you to instantly review employee productivity and resolve any issues before they escalate. 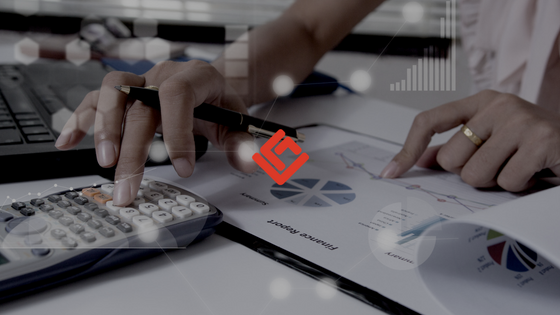 VCA also gives you the ability to easily track your company’s growth, financials, and business trends so you have the information you need to make the right decisions with confidence. The more claims your business can handle, the more money your business can make. In order for that to happen though, you need to streamline your daily administrative load. Virtual Claims Adjuster minimizes redundant tasks and reduces your need for multiple software applications. Having all your data in one place results in lower costs, higher returns, and more simplified infrastructure – and it also speeds your claims handling times. Combine all this with scalability that helps you grow your operations with ease, and you can easily see why Virtual Claims Adjuster is such a trusted product in the claims handling industry. Is it Time for Your Company to Make the Switch? If you’re suffering from either of these telltale signs, Virtual Claims Adjuster can offer you the tools and features you need to succeed. If your company is ready to grow and you’re ready to make your administrative tasks and duties much, much easier, VCA is the step that will get you there. Take Virtual Claims Adjuster for a spin when you schedule your free, 30-minute, guided demo followed by free, hands-on demo access. If you’re in the claims handling business, you’ve witnessed the importance of web-based claims management software. Now, you face the task of figuring out which option is best for the continued growth and success of your company. There are many factors the feed a business’s need for cloud-based claims management software, and there are many features that come with each option. To help you navigate this important decision for your company, here are some easy tips for buying online claims management software. When you’re making an investment of this kind in your business, you need to make sure that the company you’re doing business with is reliable. You need to find a company that has a proven record and a solid product with history. Virtual Claims Adjuster has been the industry leader in claims management software for nearly two decades because successful claims handling businesses know how to pick a trusted product. VCA is also the winner of the 2017 AI Excellence Award, which proves their dedication to companies moving into the future. Things change in the claims handling business. As your company adapts to these changes, your claims management software needs to have the capability to adapt with your company. Virtual Claims Adjuster provides an elastic system designed to serve your company as it adjusts its growth over time. VCA also makes it easy for your business to expand your service area through the availability of added modules. Scalability isn’t just about software though. 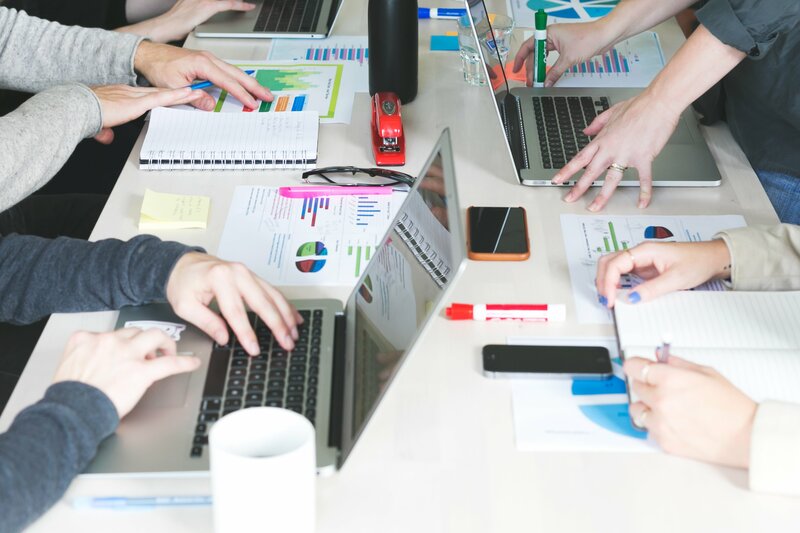 As you’ve probably heard a thousand times, “systems are what grow businesses,” which means you need SOPs to help your business reach its full potential. To help you set the right systems and procedures in place, Virtual Claims Adjuster standardizes the way claims are handled, which will assist your company in handling absences, file transfers, and new hires. This gives you the ability to grow and define internal processes so you can control costs and maintain quality as you grow. The claims management software you choose needs to provide you with the tiniest details as well as the big picture. That’s why Virtual Claims Adjuster provides you with built-in staff performance metrics, so you can instantly review employee productivity and resolve issues before they escalate. Additionally, VCA empowers you to keep a close watch on your company’s financials, growth, and business trends so you can plan for success. If you’re ready to invest in your company’s future and you want a system that is trustworthy, scalable, and provides you with all the metrics you need to make intelligent, well-planned business decisions, the choice is simple. Virtual Claims Adjuster provides businesses with the tools, insight, and reliability every claims handling business needs to succeed. Find out what Virtual Claims Adjuster can do when you schedule your free, 30-minute, guided demo followed by free, hands-on demo access. When you witness the abilities of Virtual Claims Adjuster, you’ll understand why this web-based claims management software has been the global leader for nearly two decades. If you work in the claims handling business, you know all too well the importance of good quality online claims management software. However, understanding and valuing the importance of a quality web-based claims management system is very different than being able to pick one out of a lineup. Looking through all of the different range of options can be overwhelming. How can you sort through it all? What factors do you look for to narrow the field? 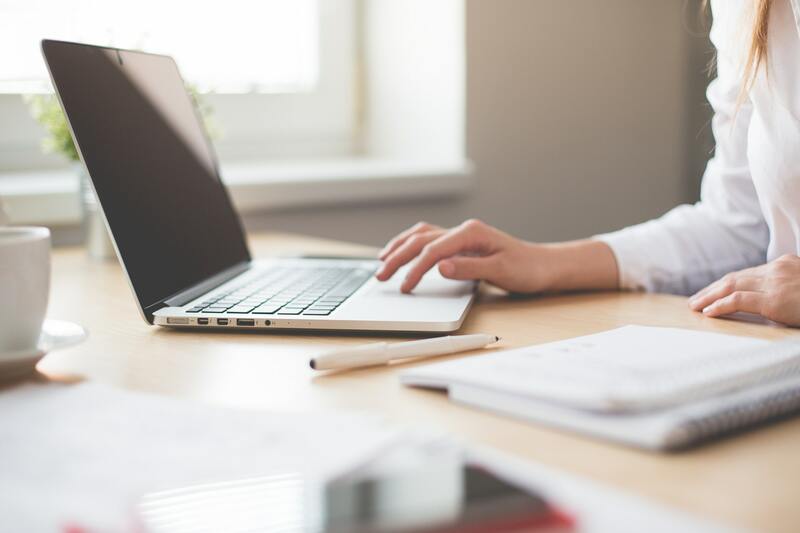 To help guide you through this important decision-making process, here are five important factors you should look for when choosing your online claims management software. In today’s fast-paced technological business world, you really do need everything in the palm of your hand. 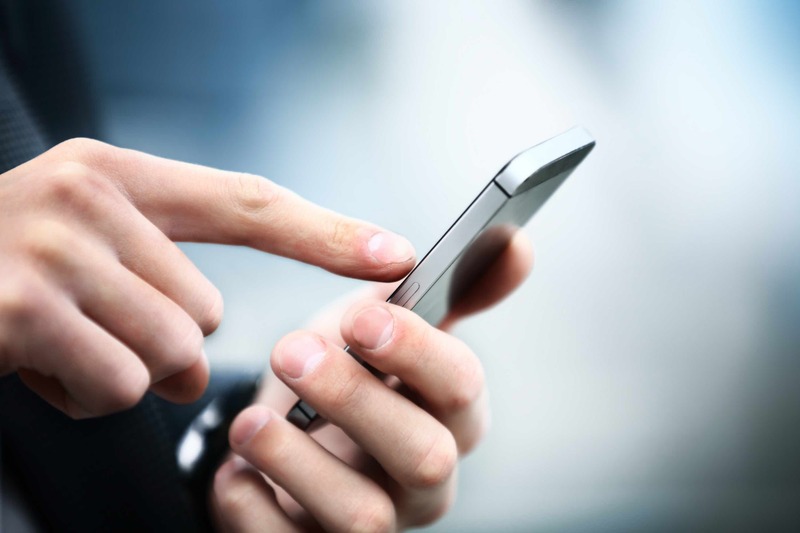 VCA Mobile provides clients with handheld data accessibility 24/7. Virtual Claims Adjuster also allows you to seamlessly manage and adapt to your client’s changing requests. Cloud-based claims management software should be set up to help you build your business. Virtual Claims Adjuster gives you the ability to track your company’s direction with access to important reports, trends, and analytics vital to your business’s success. Ineffective processes create extra time that you can’t bill for. This results in lost revenue. Virtual Claims Adjuster optimizes the claims handling process by minimizing redundant tasks and the need for multiple software applications. VCA also gives you the ability to standardize processes for increased scalability. Your clients are where your money comes from. Therefore, the web-based claims management software you choose should be accommodating to clients as well. Virtual Claims Adjuster provides your clients with around-the-clock electronic access and also gives you the ability to manage relationships with key clients and employees. If your competitors can offer attention and services that you can’t, your business is in trouble. Virtual Claims Adjuster is one of the leading software systems available because of its ability to streamline and standardize processes. This provides the scalability you need to stay ahead of the competition. Having the right online claims management software is as essential to a business’s success as having clients that actually pay you. It’s a new world, a modern world, a mobile and connected world, and your company needs to be prepared for it. Virtual Claims Adjuster is a mobile, scalable, streamlining system that helps ensure the growth and success of your claims handling business well into the future. In the claims handling business, you have many different areas that you can focus on and improve. The one solution that addresses all improvement areas is a quality online claims management system. Web-based claims management software can organize and streamline your claims management process while increasing profits, productivity, and overall business potential. Could your business use some improvement? Here are two major areas where claims management software can help you improve the operations and processes of your business. Cloud-based claims management software has multiple built-in features designed to help make the claims handling process more efficient. Virtual Claims Adjuster is an online claims management software system that streamlines your claims handling process by minimizing redundant tasks and limiting your need for multiple software applications. This allows for a highly efficient process with a reduction of manual errors and an increase in your overall quality of service. Having all your data in one place results in lower costs, higher returns, and a more simplified infrastructure. In addition, with VCA reducing your file handling costs you have the added ability to offer more competitive pricing. All this adds together to give you a marketing advantage over your competitors and empowers you to expand your service area and increase your market share. Good web-based claims management software doesn’t quite manage your business for you, but it does give you everything you need in an easily accessible format so you can manage your business better with less effort. 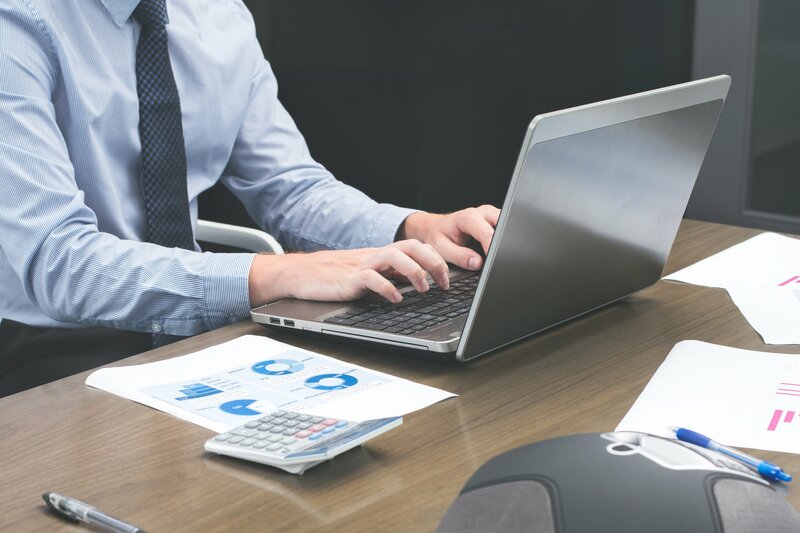 To achieve this aim, Virtual Claims Adjuster allows you to keep a close eye on your company’s growth, financials, and trends, including highly granular data. This helps you identify and address potential issues quickly. In addition, Virtual Claims Adjuster gives you the ability to manage your staff for increased productivity and revenue. With VCA, you’ll have the technology to instantly review employee productivity trends so you can increase your overall business success with confidence. The data from VCA’s built-in performance metrics helps you to easily increase staff efficiency and performance, as well as improve your client relationships, so you can build your business right. When it comes to improving the insurance claims management process, the choice is clear. Virtual Claims Adjuster provides your company with all the tools, technology, and insight you need to ensure the future success of your claims handling business. 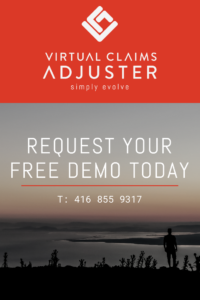 Check out Virtual Claims Adjuster for yourself and see what it can do when you schedule your free, 30-minute, guided demo followed by free, hands-on demo access. After seeing Virtual Claims Adjuster in action, you’ll understand why this web-based claims management software has been the global leader for nearly two decades. If you’re working in the claims handling business without online claims management software, you’re working too hard. Not only are you working too hard, your employees are working too hard as well, and that is costing you money. This is exactly why web-based claims management software was created: to help your business run more smoothly while you save money and increase profits. Inefficient processes in the claims handling business can cost a company in lost man-hours and lost revenue. Virtual Claims Adjuster helps you streamline your claims handling by minimizing redundant tasks, which naturally results in increased staff productivity. VCA also helps reduce the need for multiple software applications and allows for highly efficient claims handling with a reduction in errors. One problem with running a claims handling business is that you are only one person and there’s only so much you can track. Virtual Claims Adjuster allows you to keep a close eye on your company’s growth, business trends, and financials. 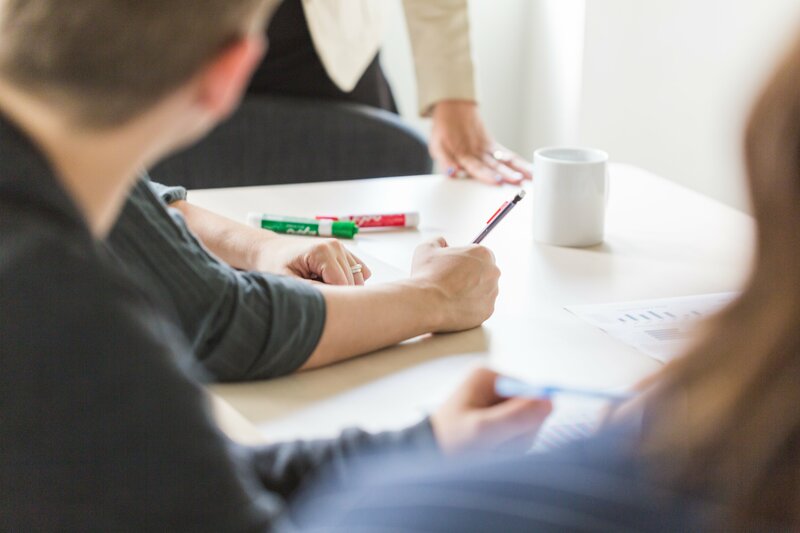 With the full business metrics provided by VCA, you will have the ability to ensure that tasks are completed correctly and on time, as well as instantly review employee productivity. Plus, having all that data in one place results in even more benefits: lower costs, higher returns, and a more simplified infrastructure. No business owner in any field wants their company to be stagnant. A stagnant business is a dying business. Virtual Claims Adjuster provides an online claims management software system designed to set your business free. VCA makes you more competitive in the market by providing you with the ability to seamlessly manage and adapt to your client’s changing requests. For instance, VCA’s built-in invoicing capabilities ensure accuracy and flexibility, giving you the ability to achieve all common billing practices; VCA Mobile provides you with handheld data accessibility around the clock so you don’t miss a thing. Virtual Claims Adjuster provides you with all the claims handling business survival skills you need to get your company running the way you always dreamed it could. Easily expand your service area and free up time and money when you switch to VCA’s cloud-based claims management software. Try Virtual Claims Adjuster for yourself when you schedule your free, 30-minute, guided demo followed by free, hands-on demo access. When you see Virtual Claims Adjuster in action, you’ll understand why this web-based claims management software has been the global leader for nearly two decades. Your time and availability are in high demand when you’re running a successful claims handling business. Sometimes it seems that the more successful you are, the less time you have. Getting your time back would be the number one, overall reason you should use online insurance claims management software, but there’s more. If your time is valuable and you want your business to succeed, take the time right now to read these five reasons you should use online insurance claims management software. In order to make sure you’re leading your company in the right direction, you need tools that provide you with essential business information. With Virtual Claims Adjuster, you can track your company’s growth, trends, and financials so you always have the data you need to build on your success. VCA also gives you the ability to instantly review employee productivity and provides you with built-in performance metrics so you can easily identify and resolve issues before they escalate. In the modern business world and your fast-moving industry, you and your staff can’t afford to be chained down. You need access to your critical software even when you’re outside the office. Online claims management software is unique in that it provides you with data accessibility in the palm of your hand, 24 hours a day, 7 days a week. This allows you to seamlessly manage and adapt to your clients’ changing requests in record time – and VCA even provides your clients with a portal to view handling progress for themselves. To be successful in your claims handling business, you need web-based claims management software that will help you and your staff work together like the industry leaders you wish to become. Virtual Claims Adjuster is the industry leader for cloud-based claims management software because it strengthens team confidence and standardizes the way claims are handled. This makes things like assisting personnel, overflow coverage, file transfers, and file audits easier to achieve, leading to improved overall quality of service. Keeping up with business innovation is vital to a business’s success, so it’s no wonder that Virtual Claims Adjuster’s innovative software is a leading choice for the global claims handling industry. Not only does VCA’s setup provide you with the ability to easily expand your service area so you can grow your business the way you want, the powerful claims management software also helps you create a strong professional presence, which gives you a marketing advantage over your competitors. You and your staff can’t waste time if you plan to grow and succeed in the claims handling business. Virtual Claims Adjuster streamlines your claims handling by minimizing those redundant tasks that cut into your productivity, so you can close more claims in less time. To speed your business even further, VCA reduces manual errors and file handling costs, minimizes the need for multiple software applications, and helps you increase your overall revenue. With Virtual Claims Adjuster, you can optimize every part of the claims process. Give yourself a break and let your new cloud-based claims management software free up your time. 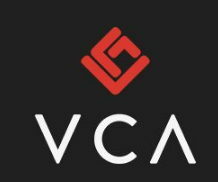 VCA provides your company with the insight, the access, and the tools you need for your business to be the growing success you dreamed it would be when you started. When you choose Virtual Claims Adjuster, you get to save time instead of sacrificing it. Experience Virtual Claims Adjuster when you schedule your free, 30-minute, guided demo followed by free, hands-on demo access. Once you see what Virtual Claims Adjuster can do, you’ll understand why this web-based claims management software has been the global leader for nearly two decades.